Many people don’t think about their air conditioning system very much when it’s functioning as it should. After all, when you set the thermostat to your desired temperature and it quickly complies, why should you worry about your A/C unit? In reality, maintaining your air conditioner is just as important as maintaining your car or getting regular check-ups at the doctor’s office. When you have a well-maintained air conditioning system, small problems can be caught early before they turn into big problems and potentially costly air conditioner repairs. This saves you money and may add years to the life of your system. Plus, a system that has been well-maintained is likely to be more energy-efficient. There are certain tasks you can do to maintain your system yourself, such as changing your filter regularly. However, a regular tune-up from a knowledgeable air conditioning expert is a good way to feel confident that your system is running at its peak and that it will keep serving you well for years to come. It’s especially important to get a tune-up just before summer to make sure that your system doesn’t break down when North Texas temperatures are dangerously high. 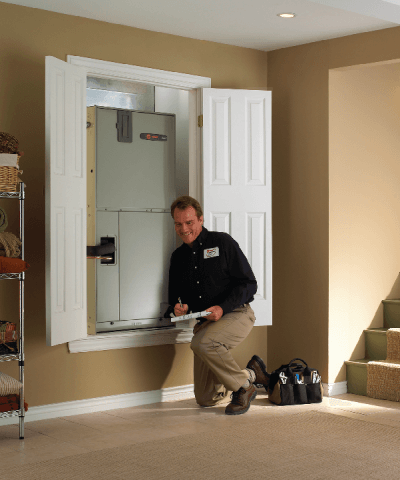 Cote’s Mechanical offers a number of A/C maintenance options designed to keep your system running its very best. We can perform tune-ups on any make or model of air conditioning unit. Plus, you can feel confident in our work because our technicians are all NATE certified and follow all of the most recent industry-recommended training protocols. Don’t wait until it is too late. Let us tune up your A/C right away to save you money on your utilities and reduced the chance of a catastrophic breakdown and possible air conditioner replacement in the immediate future. Your air conditioner system – particularly the ducts – can get quite dirty over years of service. Cote’s Mechanical offers air conditioner cleanings to remove the dust, dirt, mold, and mildew from your ducts and help you and your family breathe clean air once again. Changing your filter on a regular basis does a lot to keep your system clean. However, a filter does not catch everything. Over time, dust, hair, dirt, and other debris build up in the ductwork of the home. Ducts aren’t exactly easy for you to clean yourself. Even if you try, you may only clean off a small percentage of the residue that has built up over the years. We have special equipment designed to clean thoroughly in order to remove all the dirt and dust, helping you feel confident about the cleanliness of the air you breathe once more. If you would like more information about any of the maintenance or cleaning services offered by Cote’s Mechanical, contact us today. We look forward to working with you and giving you peace of mind regarding your air conditioning system. We service all of Denton County and surrounding areas.